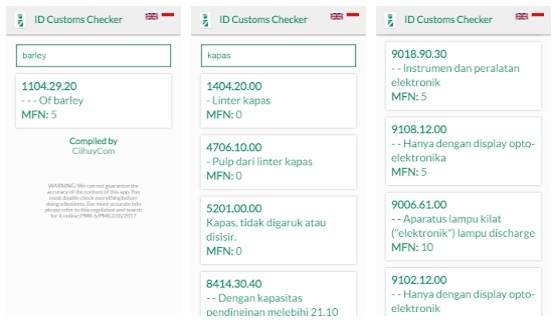 With this app you can check Indonesia Customs Tariff offline anytime. You can enter goods description or HS Codes both in Indonesia or English and you will see the matched result quickly. Warning: Use this app at your own risk. We do not guarantee the accuracy of this app.